This week, PBS Newshour published a long, insightful and generously illustrated feature on the work of Raymond Pettibon, whose drawings have been collected in a massive new 688-page volume, published by David Zwirner Books and the two European museums which are exhibiting the work through 2017. 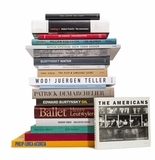 Lucas Zwirner, the book's editor adds insight. An excerpt is below. Left: Page 5 from “The Skull Globe,” 1985. 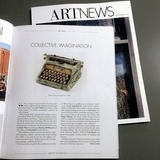 Right: “No Title (The Invisible Man’s …),” 2010. In 1998, the Art Institute of Chicago received a rare angry letter. The patron claimed the museum has been “conned” into paying for 21 drawings by American artist Raymond Pettibon. The offending artwork was barely bigger than a sheet of office paper. Two columns of handwritten text wrap around a black-and-white ink drawing of a surgeon, arms outstretched, prepped for procedure. The text started with, “When Reagan’s dead I hope to do the autopsy. What’s rest of him.” The text reads as a screed against the former president. The word “a**hole” appears four times. 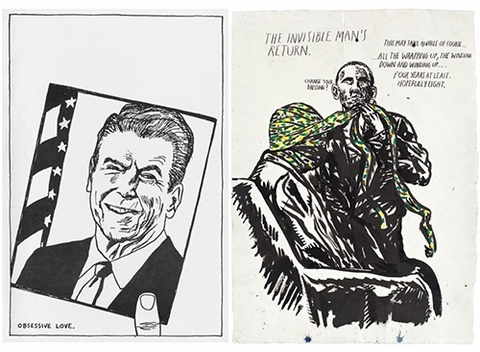 Prints and drawings curator Mark Pascale said the patron, who identified as a Reagan admirer, focused on “one tiny aspect” of Pettibon’s work. After all, much more imposing images of Gumby, a baseball player and even the head of Charles Manson were also displayed next to the surgeon. 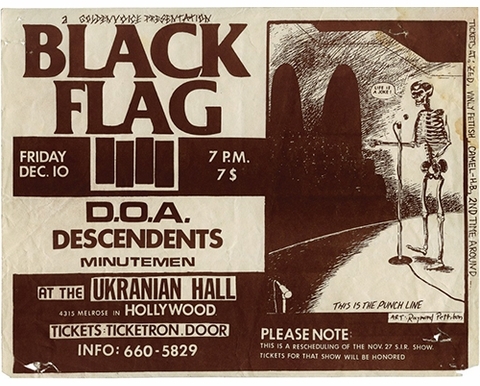 “Black Flag at the Ukranian Hall,” 1982. 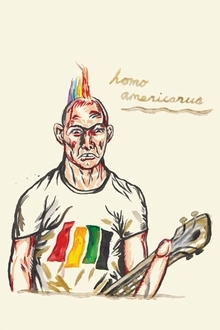 Raymond Pettibon: Homo Americanus, a new art book out in April, attempts to provide an overview of the artist’s four-decade career with selections from his Black Flag flyers, Xeroxed zines, high-contrast drawings and other paper-based works. A solo exhibition of Pettibon’s work is also currently on display at the Deichtorhallen Hamburg in Germany. 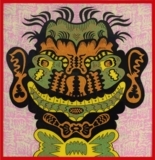 One estimate in the book said the 58-year-old artist has dreamt up more than 20,000 drawings, many of them using puerile imagery — pulpy violence, swastikas, and, well, erections. But to harp on these is to ignore his awe of the formidable waves that threaten to engulf his surfers. His love of baseball. His messy, inaccurate hearts. 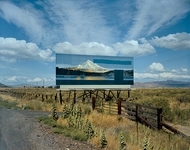 “No Title (When the going …),” 2007. “Very little differentiates the thought process behind this effort from a nut with a spray can defacing art,” the letter said. Pascale sent the letter to Pettibon through his dealer in California. He later learned that it brought a smile to the artist’s face. Most of Pettibon’s work is a marriage of rough visuals and text as seen on the many Black Flag gig posters with the iconic four-bar logo and the Tumblr-approved album cover of Sonic Youth’s “Goo." Sometimes, the words compete in the same space as his ink drawings, gradually shrinking in size as he runs out of space. Other times, his figures talk in speech bubbles, the go-to comic book rendering of dialogue or thought. Or a single sentence narrates the scene. And, often, his text is more provocative than his imagery. To wit: The angry letter complained about what Pettibon wrote. Reagan doesn’t appear with the surgeon. Americanus is punctuated with political statements from Pettibon, including blunt criticisms of President George W. Bush, the Iraq War and the Abu Ghraib revelations. Other times, his artwork acts as missives against America’s occupation in the Middle East. And while the Art Institute of Chicago didn’t display any, Pettibon has drawn not-at-all flattering depictions of Reagan (and Nancy too). 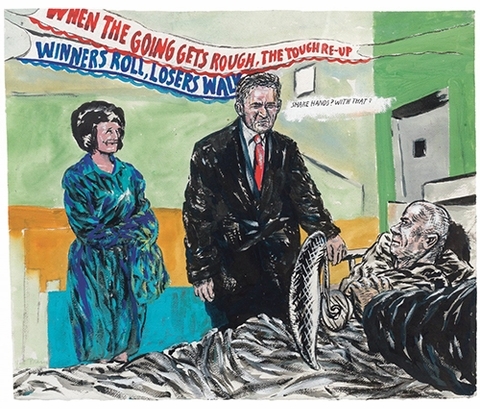 But, as Pettibon described it, he was compelled to address these moments in American politics. Hbk, 7 x 10.5 in. 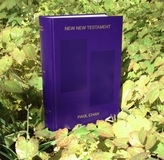 / 688 pgs / 600 color.